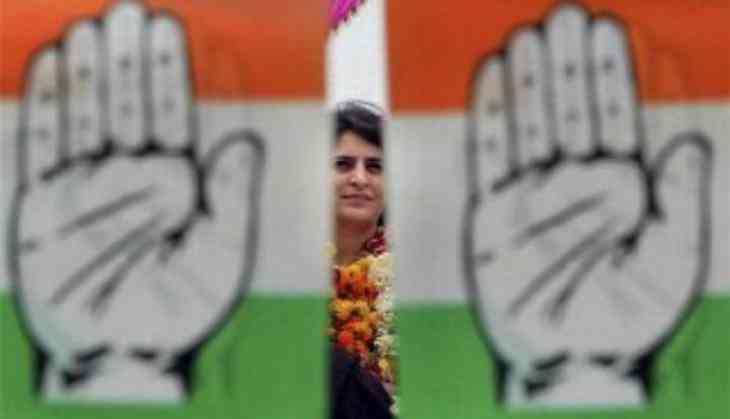 Eastern Uttar Pradesh Congress general secretary Priyanka Gandhi, whose husband Robert Vadra is being probed by the ED in connection with a money laundering case said on early Wednesday that "these things keep on going and I am concentrating on my work." Priyanka, who conducted a meeting with local Congress workers inside the party office here for around 16 hours, told reporters, "These things will keep on going, I'm doing my own work." She made the remarks when asked if Vadra's questioning by the ED affected her. Vadra was interrogated for over eight hours by the Enforcement Directorate in Jaipur on Tuesday in connection with an alleged land scam in Bikaner amidst heightened security. His mother Maureen Vadra, was also present. The businessman will be questioned today as well. Talking about the meeting, Priyanka later told ANI, "It is nice on seeing the enthusiasm of party workers. They waited for me for long. I thank them. I am learning more about the organisation. How does the organisation work in the region and how are the district and block committees (functioning). I am taking all details." She told reporters, "I am learning a lot about the organisation and how it is structured. I am getting views on how to fight the elections." On Monday, Priyanka along with Jyotiraditya Scindia and brother Rahul Gandhi conducted a fierce road show in Lucknow.